If you do not currently have a system in place to manage your Less-Than-Truckload Freight Invoices for pre-audit, post-audit, and freight payment you should consider the use of a 3rd party vendor to insure that you are maximizing your efforts and savings. Having a platform that enables best rate and route across multiple carriers is critical to transportation spend management. Evaluate your carriers regularly for compliance and efficiency through our web portal and monitor any discrepancies found such as duplicate invoices, incorrect fuel surcharge rates, mileage, class codes, and damages. Our reporting interface keeps all Bill of Ladens, Invoices, and Purchase Orders in one secure location for easy access and visibility. 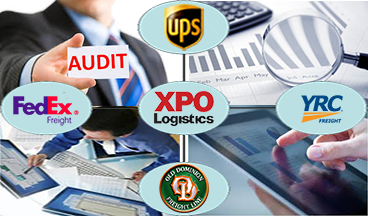 Having a single source for complete visibility into your LTL (Less-Than-Truckload) spend and volume while combining our LTL Invoice Audit will be sure to provide a best-in-class solution without erroneous charges. Comparative LTL and TL parcel rates tool. Ship Watchers was found in 2006 and is comprised of former carrier employees and IT Professionals that continually improve the intelligence of our Auditing Network and Web Portal given the ever changing carrier systems and technology being introduced to maintain a valuable presence in the logistics and supply chain industry. Ship Watchers has a dedicated team of auditors and developers specialized in freight invoice auditing for LTL, TL, Ocean, Rail, and Air Freight shipments. We have mastered a freight audit system that requires minimal human interface. Our freight audit system can be tailored around your business rules and any business changes that occur. Given the diversity of carriers for all modes, commodities shipped, contracts of carriage, and invoicing procedures we have our own internal staff that will work with each client to customize the auditing process around your specific shipping characteristics and carriers you work with. All invoices whether paper or paperless will be available to you electronically and all information obtained will be included for any customized reporting. All invoices are run through our automated network and double checked by an experienced auditor for any incorrect charges.